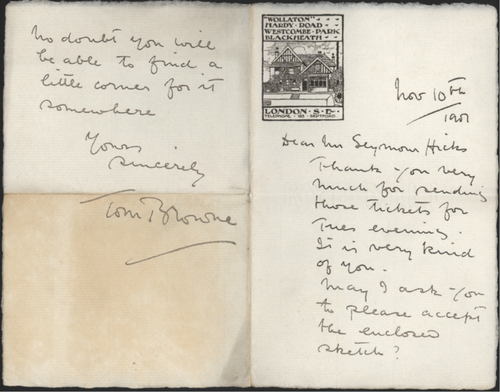 Autograph Letter Signed ‘Tom Browne’, to Seymour Hicks, thanking him for the tickets. 2 pp.7 x 4½ inches, one section (bearing the signature) toned overall. Blackheath, 10 November 1901. Uncommon. Tom Browne, R.I., painter and illustrator.